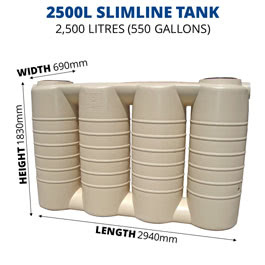 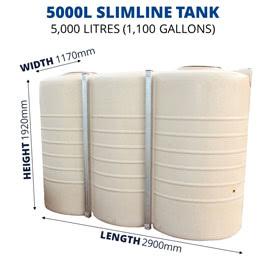 QTank’s Slimline Poly Water Tanks are found in round tank sizes from 2,500 litres (550 gal) up to 5,000 litres (1,100 gal). 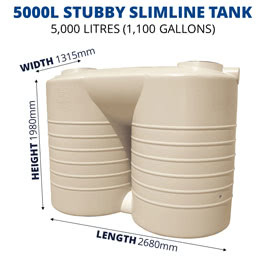 Prefer a round poly tank? 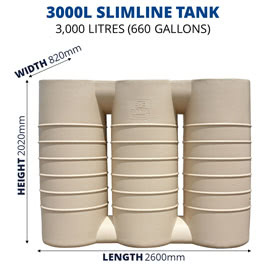 Check out QTank’s Domestic Tank range.